This was one of the largest undertakings I have taken on in a long time. 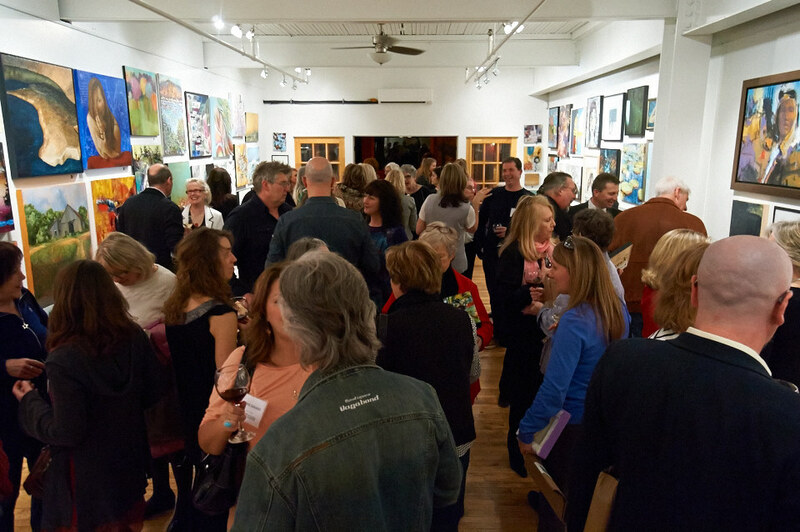 Organizing and producing an exhibition of over 60 artists as well as an opening night Art Marketplace is a daunting task when you begin. However, the sold out opening night was well worth the effort! 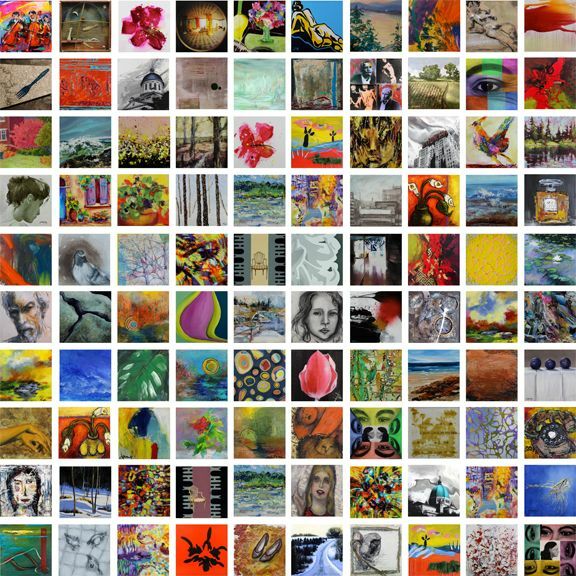 Here's how it worked: Each of the participating Montreal ArtBomb artists donated one or more 8" x 8" artworks. 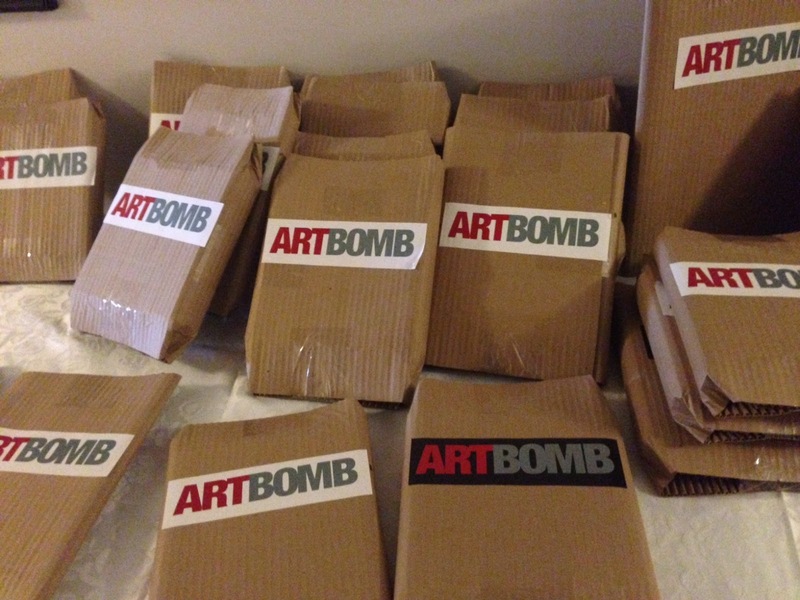 These artworks were then all wrapped and waiting at the door. The guests purchased $50 tickets which entitled them to one of the wrapped artworks as they arrived. The exhibition continues until April 24th at Complexe du Canal Lachine in Montreal (St Henri) 4710 rue St Ambroise open week days from 11am to 2pm. 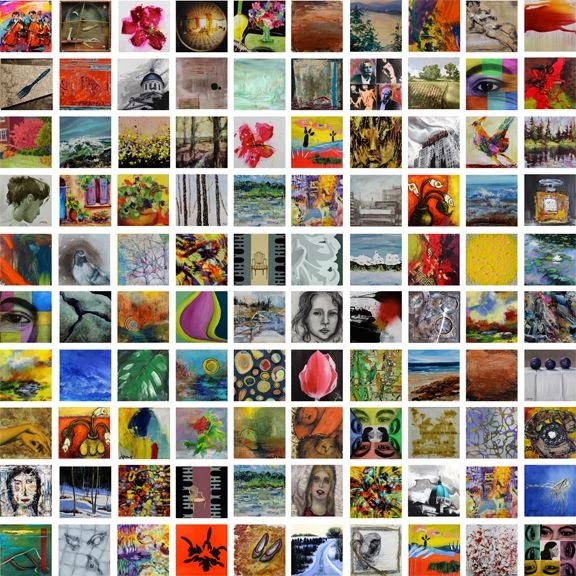 A beautiful mosaic of artists and art is coming together this Thursday, April 10th at the Centre d'Art Voland Montreal ArtBomb is celebrating it's one year anniversary by weaving this tapestry of art and artists in a unique and unusual manner. Purchase a ticket for $50 and receive a wrapped original painting at the door. This painting is yours to keep or if you wish you may trade with another guest in the room for a different one. This is where the fun begins...the subjective nature of art is such that the artwork that one person falls in love with another doesn't even cast a second glance at. The artists themselves will be there with a full gallery of their larger artworks hung "art salon style" which means floor to ceiling artwork. There is sure to be something of interest for everyone. 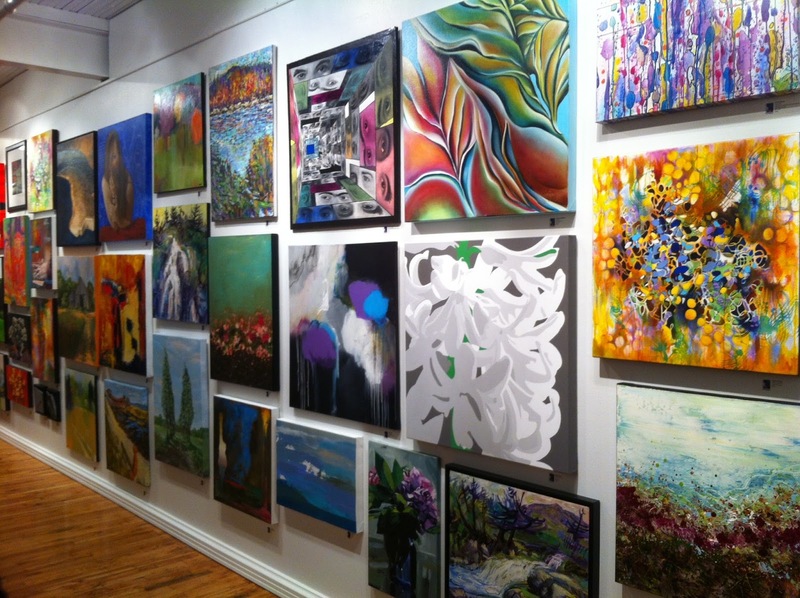 Discover Art from the inside out and see life through the artist's eyes for an evening. 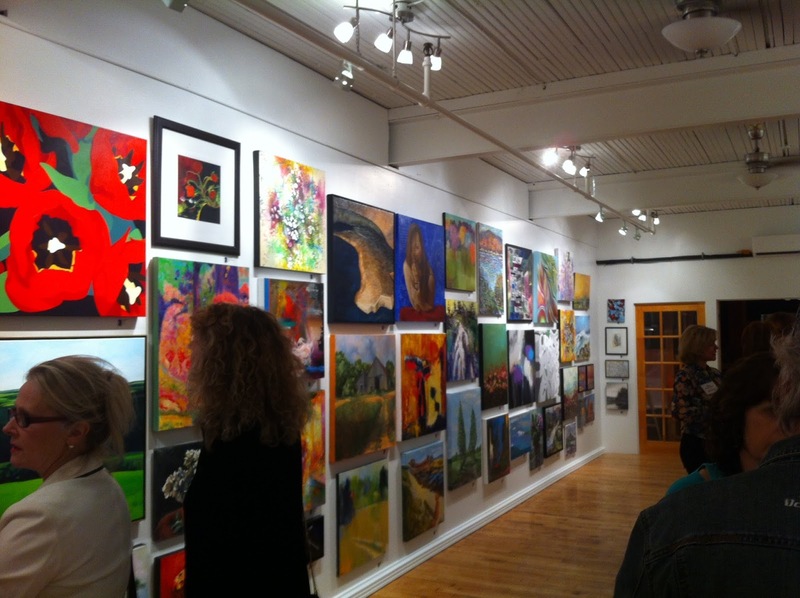 Come and relax, have a glass of wine and chat with the artists themselves. Tickets are selling out fast so don't delay your purchase.